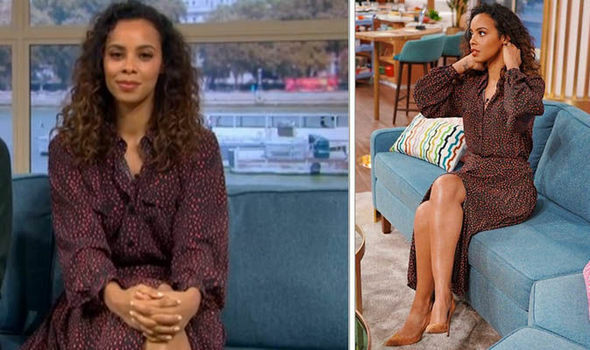 ROCHELLE HUMES ended her week on This Morning in another thigh flashing shirt dress. The singer dazzled in the leg flashing look which was extremely similar to the dress she wore the day before. The star who has been experimenting with a range of styles over the past couple of weeks.